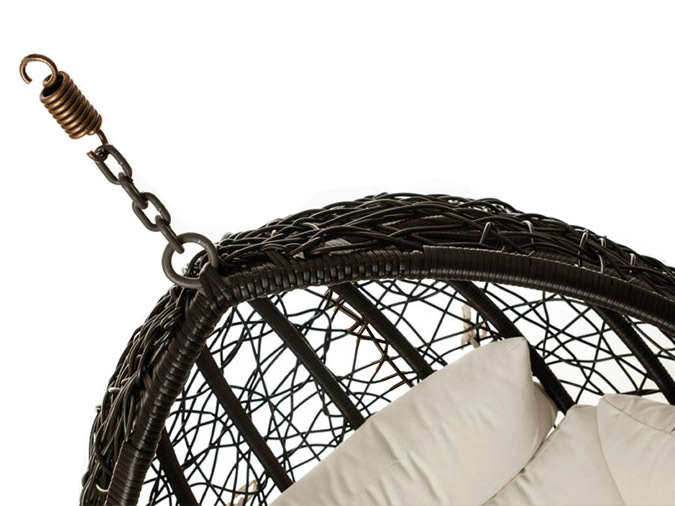 The Escape hanging chair by Ogni, shown here without frame, simply hangs from a hook indoors or outdoors. 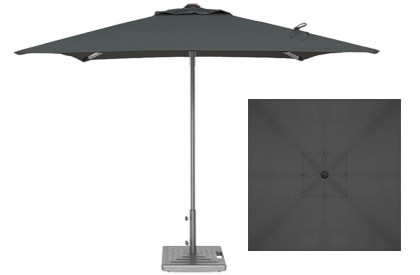 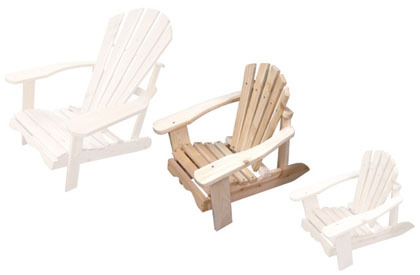 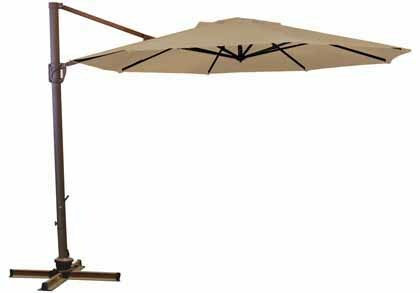 You can hang it in a tree or from a safe and solidly anchored eyelet or even hook it on your patio structure. 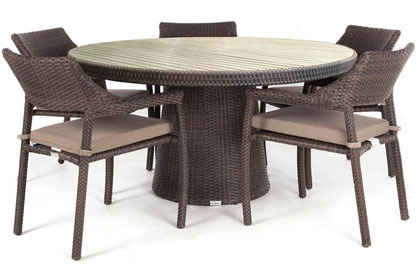 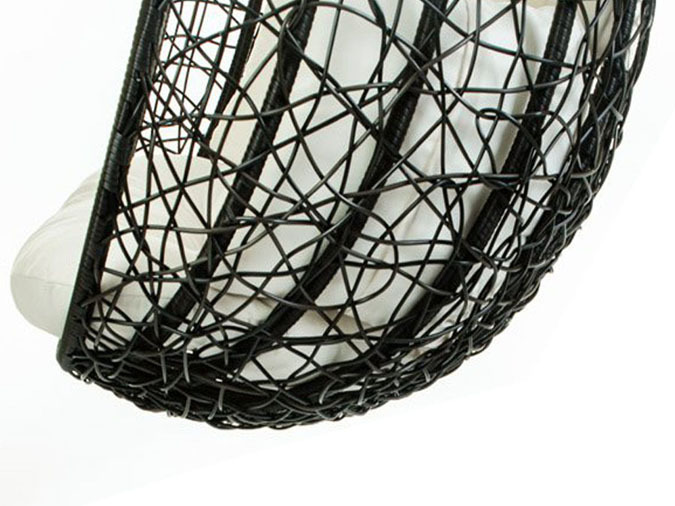 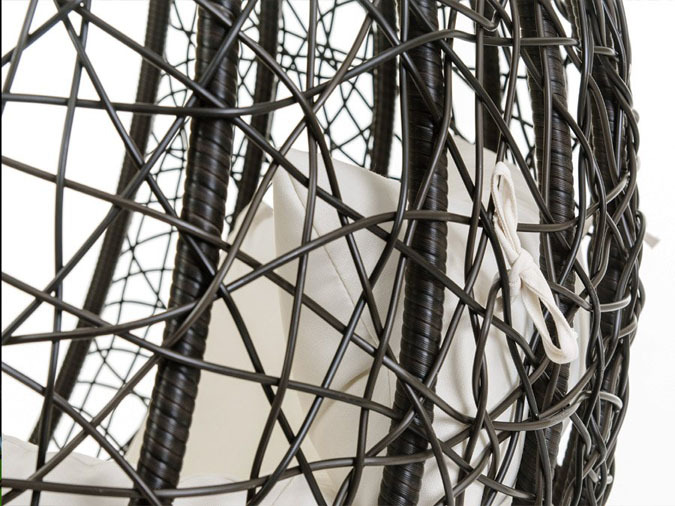 The chair structure is made of aluminum that won't rust, and the wicker has an additive throughout that will provide a better resistance to damaging UV sunlight. 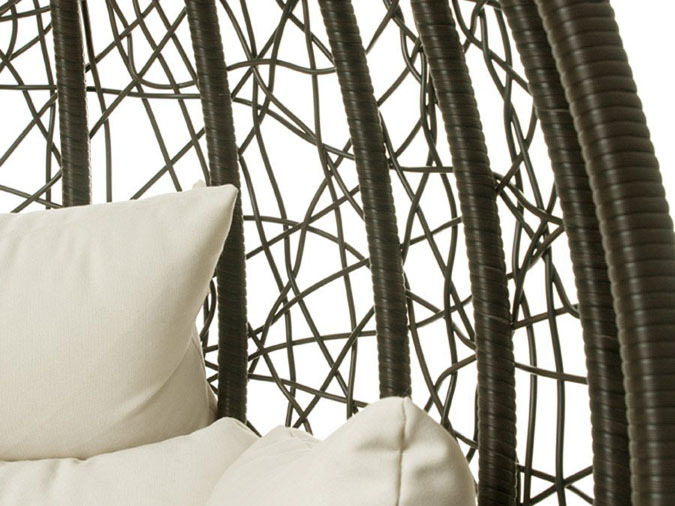 The standard stock cushion colour available is ivory. 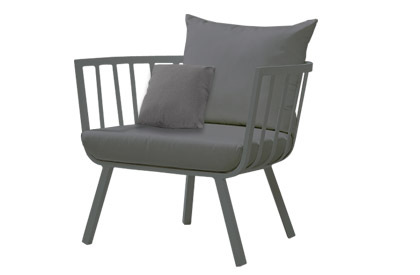 This unique new addition to the Ogni line of products is now available at our participating retail locations. 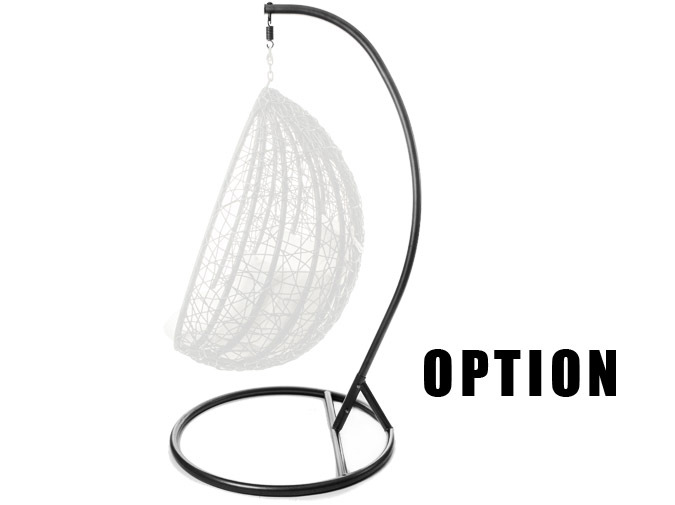 Designed for a maximum weight support of 200 kg ( 440 lbs ). 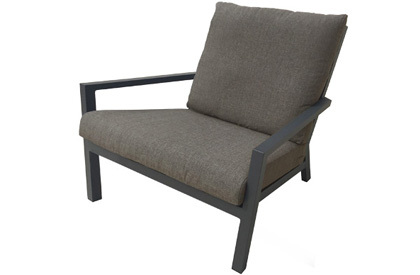 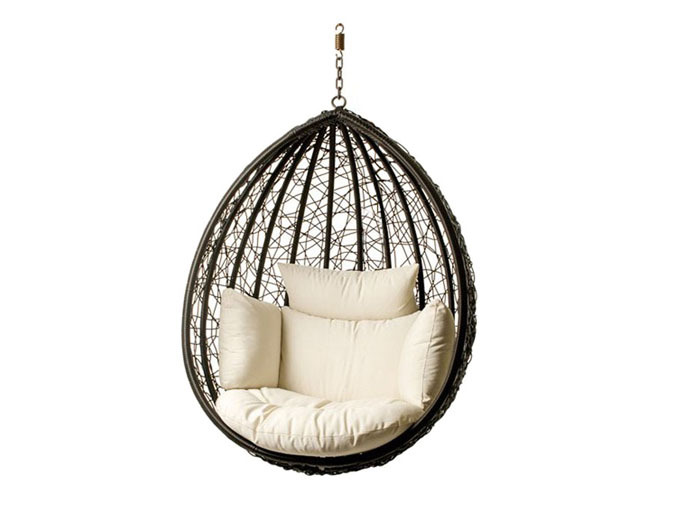 A separate heavy-duty metal hanging frame is available with added price, to hang this chair onto, if needed. 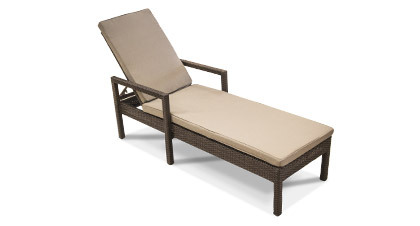 See stores for details. 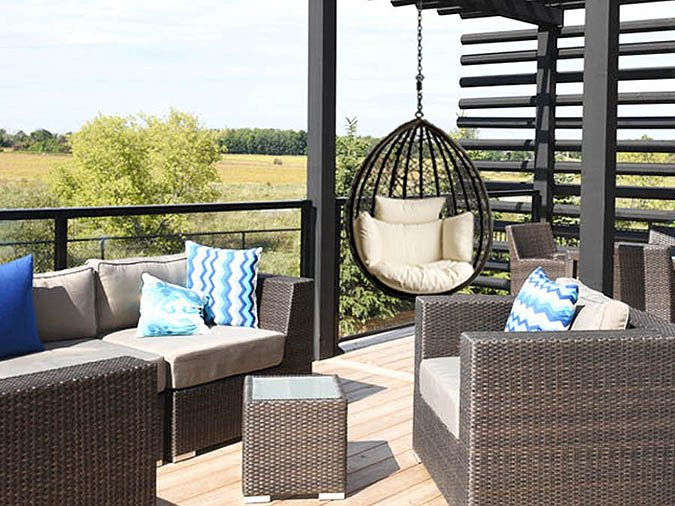 This unique quality-made outdoor hanging chair includes a 2 year warranty on the aluminum structure and the synthetic wicker.